Red Spider Technology supplies the oil and gas industry with a range of down-hole products including seawater injection valves. In an initial study, Wilde established an efficient valve characterisation methodology subsequently used to characterise a range of valve sizes. The principle objective was to identify the flow rate required to open the valve fully and to characterise valve pressure drop. 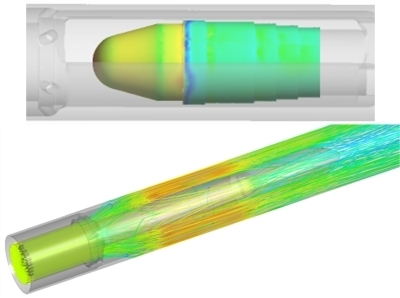 The analyses were conducted using ANSYS fluid dynamics capabilities. 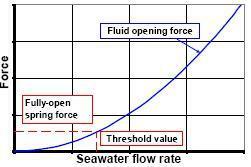 Post-processing identified the fluid force on the poppet and hence fully open flow rate. The actual valve assembly comprises Red Spider’s valve, a lock of third party supply hence unknown geometry and a crossover piece. CFD gave the head loss associated with the valve: guidance was given on the estimation of pressure drop across the whole assembly. Confidence in CFD to evaluate designs and replace expensive high flow rate prototype testing.